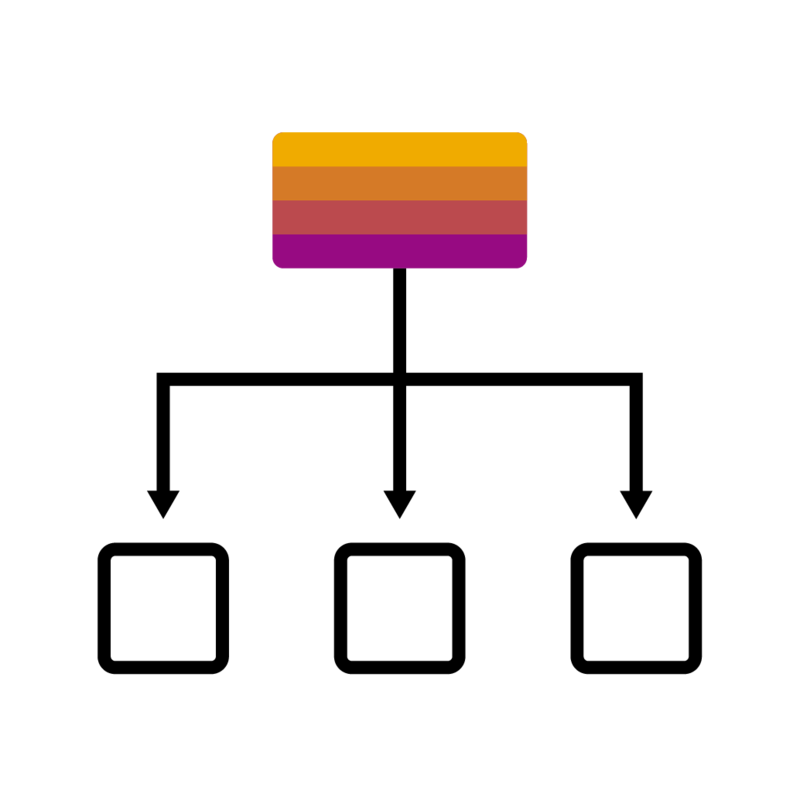 With the SAP S/4HANA 1809 release, the DMEEX transaction, came with a new Mass Synchronization Functionality. 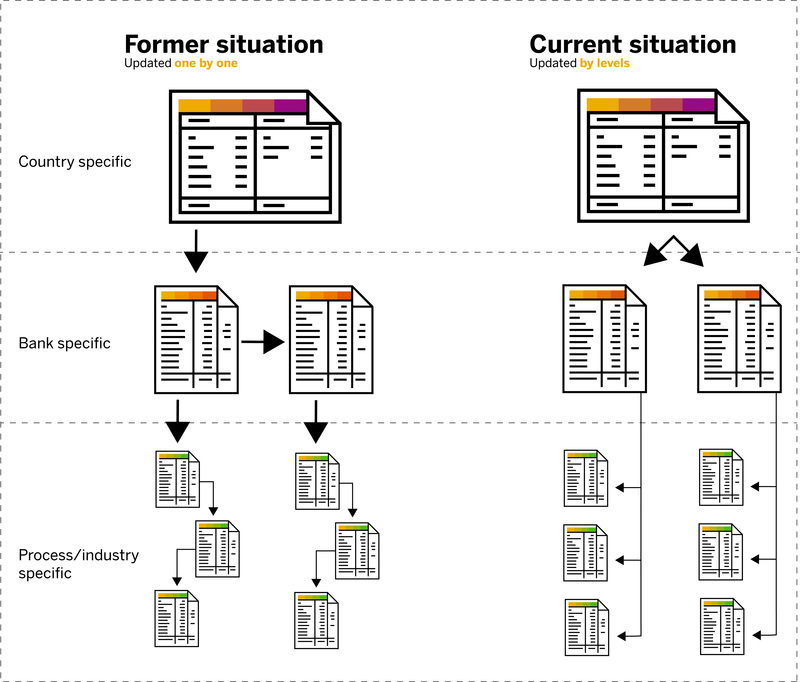 It provides you functionality to create a hierarchical tree dependency by copying a format tree as a child tree – the relation can have several levels. 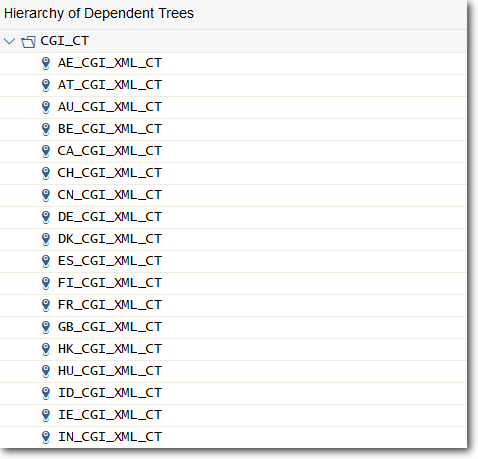 After creating a custom child tree (or multiple) under a country-specific tree, user is able to pass customization from the parent tree onto the child trees. While in the past user had to manually update all the custom formats when meeting the requirements of his bank institutions one by one, the user is now able to perform mass updates and update either all child trees on one level or update specific country formats according to the bank specific or vice versa. I will demonstrate all steps needed to take in order to perform an example mass update. First, run the DMEEX transaction. Define the tree type and the Format Tree name, then click the on the ‘Display’ button. In the bottom left corner, you can see the current tree hierarchy for the tree you currently have displayed. Let’s suppose that the parent tree, which you currently have displayed has been modified and you want to pass those changes onto all the direct child trees. To synchronize the trees, click on the ‘Distribute Changes’ in the top menu. After the synchronization screen comes up, several columns appear. In the first column, you can see all of the child trees with a color indicator associated with them. Next to it, there is a column with a checkbox, where you see more info about the status of a synchronization and you can check the trees you want to synchronize. The color indicators can be either green, yellow, red or Blue/Grey icon (depends on your visual theme settings). Green color indicates that the updates can be passed automatically onto the child trees. The checkbox is already pre-checked. Yellow color indicates that important changes were made and you are prompted to check the checkbox yourself if you agree with the changes. Red indicates that a node was deleted in a parent tree and the synchronization will delete nodes created or modified by user. 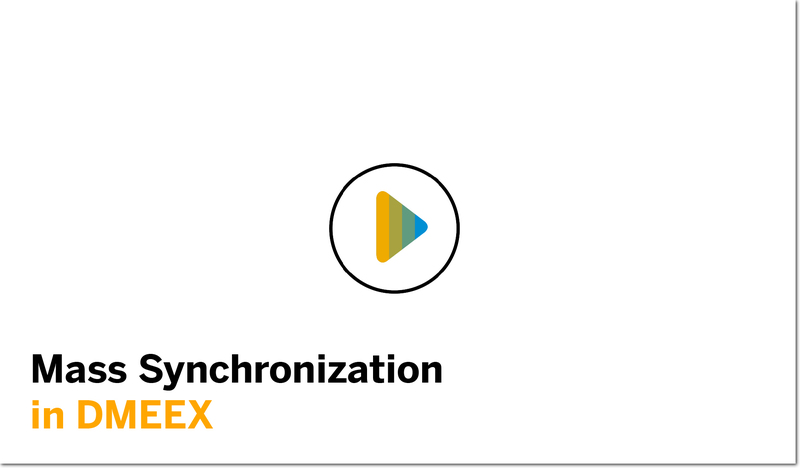 The synchronization can’t be done automatically and the user is prompted to review those changes and only after the review he can synchronize the tree manually. This situation can occur if for example an entire node in a parent tree was deleted – mass synchronization in this case could lead into deleting this particular node in every child tree. Blue/Grey (depends on a visual theme settings) color indicator signalizes that no changes are available to pass onto the specific tree. Upon clicking the format tree name on the left, on the right side of the screen you can see all the nodes affected with the node ID, node technical name and the action about to be done. In every case there is an information button in the far right column, which upon clicking displays specific information about the change pending to happen. If you are sure about the changes about to be done on the selected trees, click ‘Synchronize All Selected Trees’ in the top menu. The updates are now passed onto the selected trees. Watch the video below demonstrating the whole process. Was this article useful? Please let us know your thoughts in the comment section below.